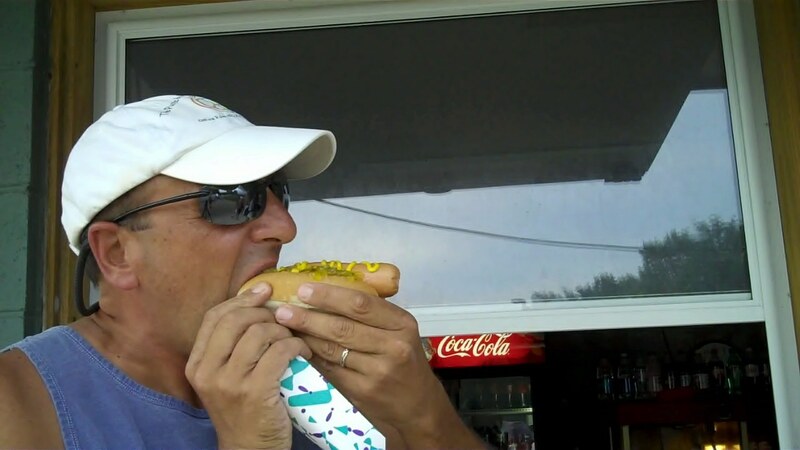 For July 23rd's hot dog, I waited until dinner time. The 23rd day of my mission to eat a hot dog a day in honor of National Hot Dog Month was a hot one- best spent at the beach. That's just what I did too. 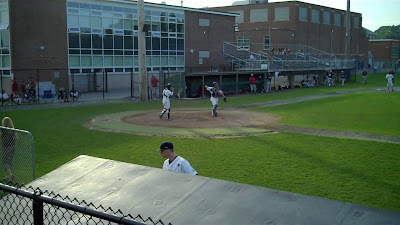 The evening brought other diversions, like a Cape Cod Baseball League game at Spillane Field in Wareham, Massachusetts. 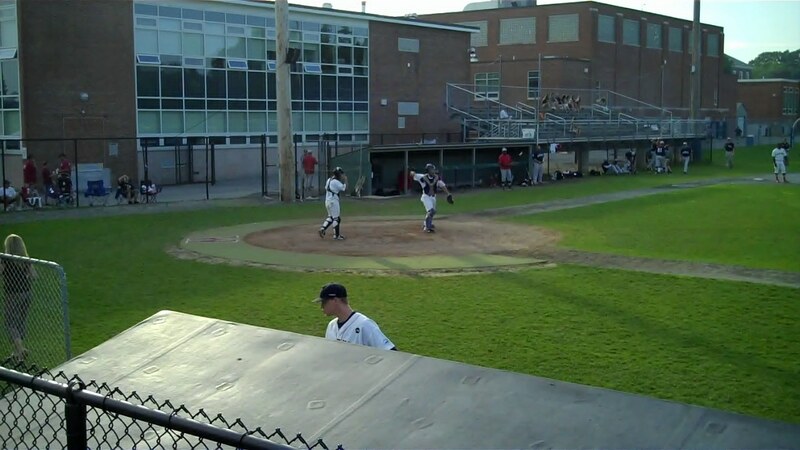 Wareham is the home of the Gatemen; they were playing the Harwich Mariners. 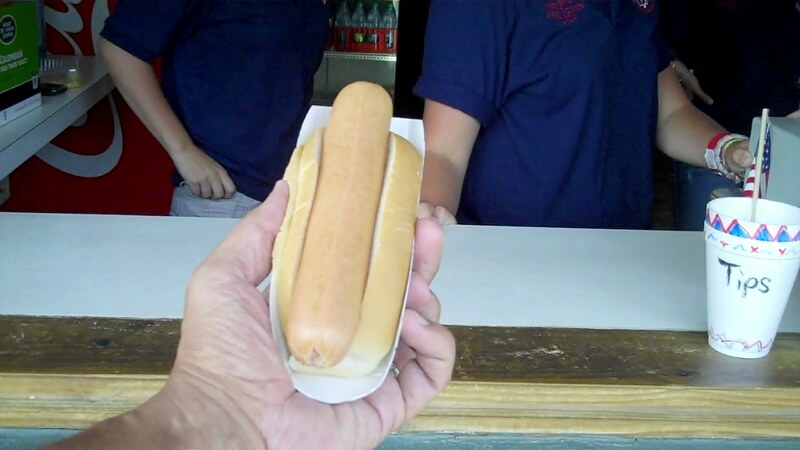 I was looking for a hot dog. 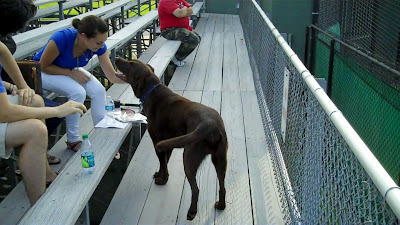 This dog looked pretty hot- it was around 90 degrees at game time! I had a few words with Terry Thompson, pitching coach of the Gatemen. 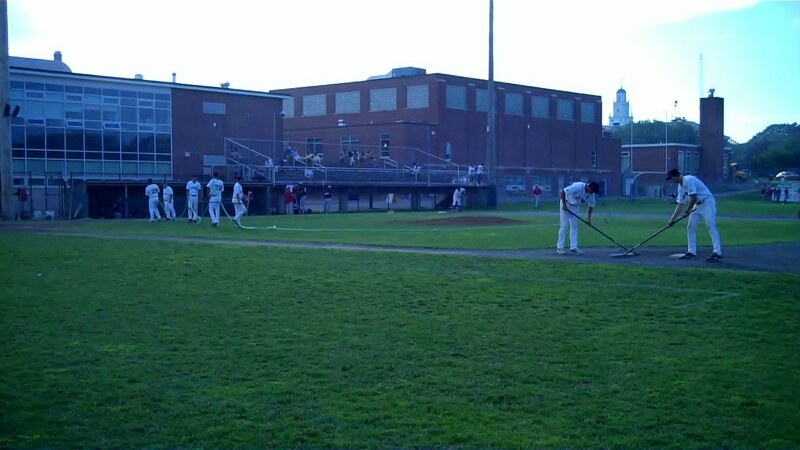 We had a brief chat while the Gatemen players groomed the field. 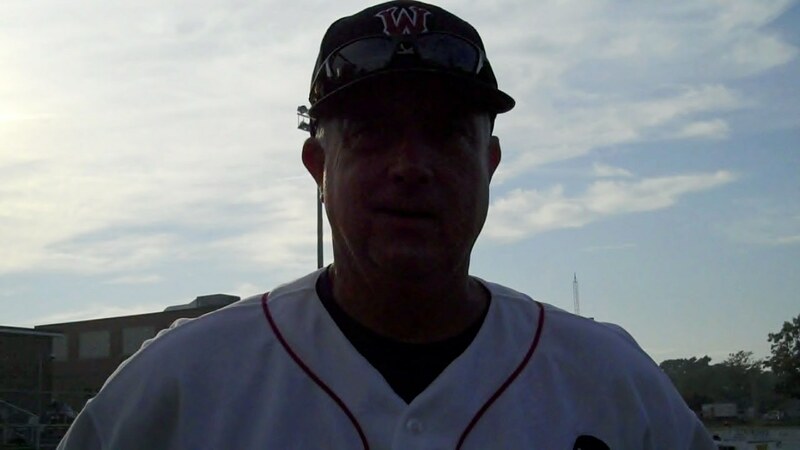 No prima donnas in this league! 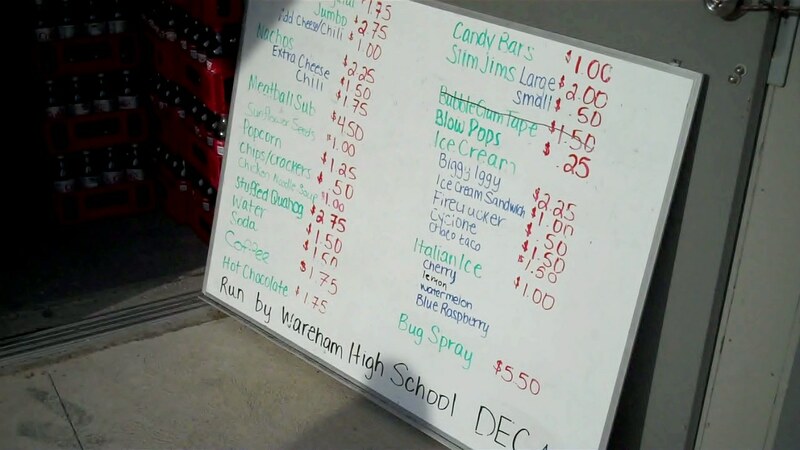 The concession stand menu has everything you'd expect at a baseball game: candy, chips, nachos, meatball subs and HOT DOGS! 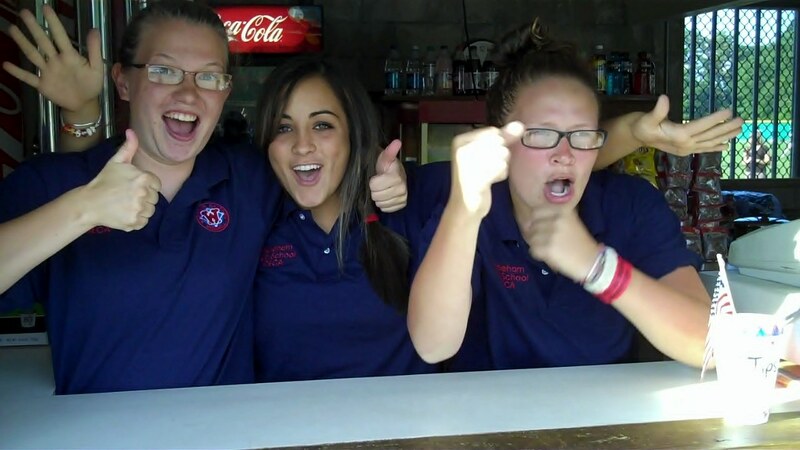 The gals in the concession stand were having fun- I think they thought this was a Hollywood movie. They serve Kayems at Spillane Field- you can get a "regular" or "jumbo." I got the jumbo: a quarter pounder! They serve it to you plain and you dress it up yourself. 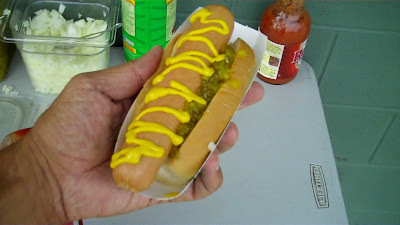 View the video of my visit to Spillane Field on Hot Dog Stories.